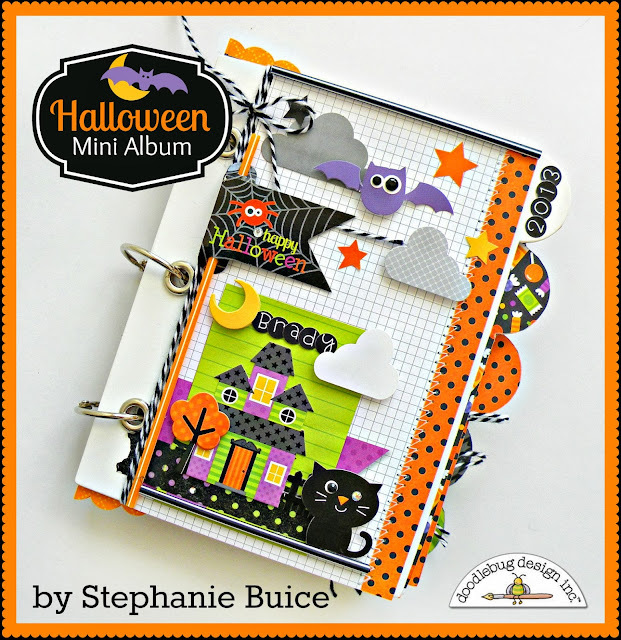 Hi everyone, it's Stephanie here with a little mini album to share with you today. This is the time of year that is becomes hectic and with the holidays around the corner I always seem to be running short on time. So this year I decided to make a quick mini album ahead of time so all I have to do is finish it off with our pictures. 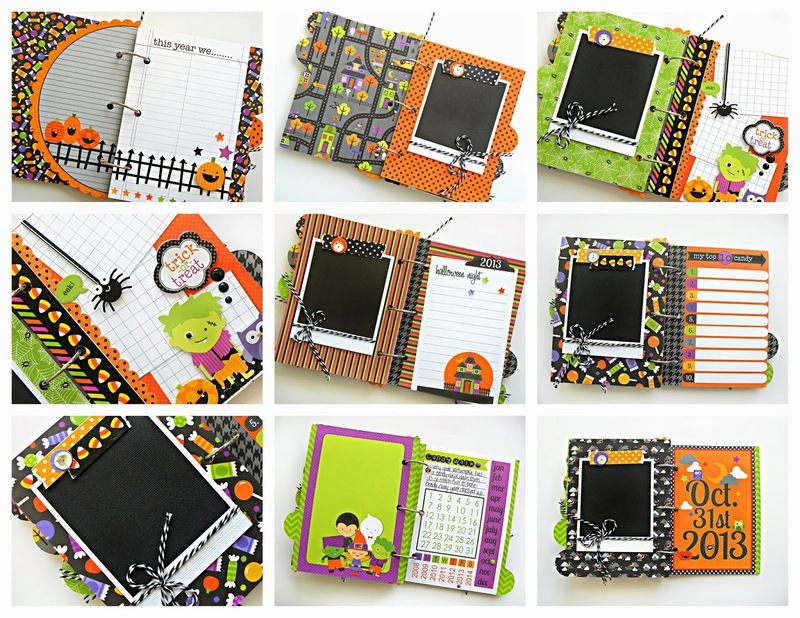 The Halloween Parade Collection is filled with so much cuteness it really was easy to put this together. And I adore all the embellishments especially the Pixies. Here are the pages from the inside of the album: Because I didn't have my pictures yet I just made little Polaroid frames for where they will eventually fit in. 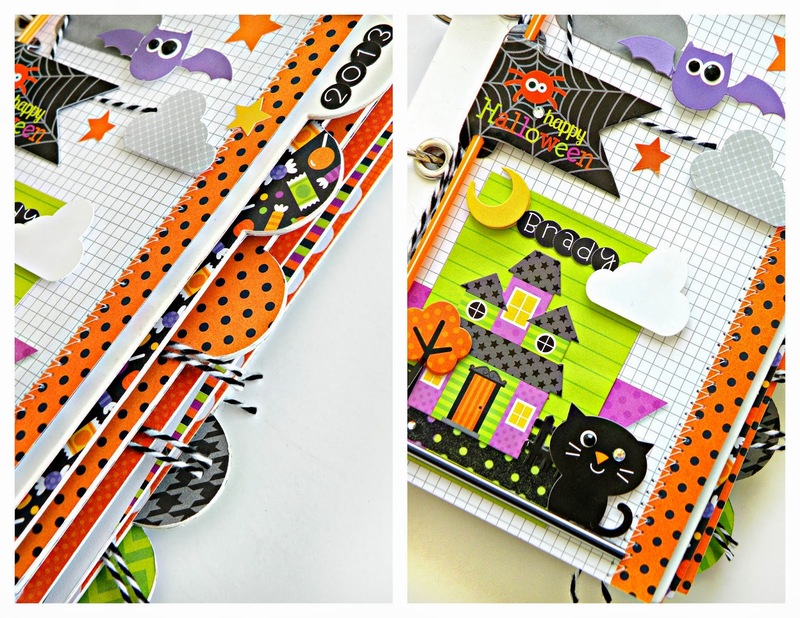 When making this album I found that the Simply Put 4x6 album inserts made the perfect pages! Because Doodlebug makes them to match each collection I found they were great journaling prompts and also saved me SO much time. Not only did they cut out guess work they will also help with taking pictures, now I know exactly which ones I need to get to make my mini complete. Hop on over to my blog for more inspiring ideas. So amazingly cute!! Love the details and the stitching!! Kudos to you!! This is just darling!!! :-) What a wonderful keepsake! Yes, It would be great to make ahead...(wishful thinking). Love the way you layed everything out for us to follow! this is a great make ahead -- or two for the number of my households with little ones. What was the mini album used for this project?? Thanks!